that accompanied it, he began planting citrus fruit in the countryside of the state of São Paulo. and our trees so that they produce the best fruit. and respect the fruit, and our father has passed this heritage on to us. our product to the city of São Paulo to sell it there. using small juicers. We also took this technique to the food service market. And that’s when juice went down in history. But why not supply ready-made juice? This was our decisive step. – the stand-up pouch – and offered our juice for school snacks. in improving our equipment, processes and, especially, the quality of our product. all the health and care and attention we always give directly to supermarket shelves! That’s why we launched Integral Soul, our 100% juice brand. make in a blender, that are enriched with fiber. We were born on a farm and no one understands fruit like we do. We are from the land and we know how to take care of the trees so that they grow healthily and give the best fruit. And we offer only the best to you. Fruit, without adding or subtracting anything (no added water, sugar or any type of preservative). We are 100% fruit to our very soul. You might even notice a difference in the flavor from one juice package to the next – and that just proves how natural we are. We don’t create a standard juice because that would go against our soul. To innovate in the 100% juice market, making children’s, adolescents’ and adults’ day-to-day lives healthier. We offer juices with the flavor of fresh-picked fruit. It’s not a nectar, fruit juice cocktail or juice drink – it’s 100% fruit! The fruit goes through a two-stage selection process. The first stage takes place in the orchard, where we check to see whether the fruit has reached the right level of maturity (that means we check to see whether it’s ripe ☺). The fruit is taken to our production facility, where it’s unloaded and stored separately. We then analyze the fruit according to its characteristics and acidity. This selection process allows us to keep the juice’s flavor uniform. In the second stage of the selection process, our technicians reject the fruit that doesn’t meet our standards. This is the last time the fruit is touched by human hands. 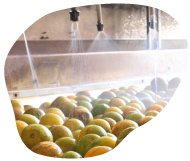 The fruit then goes through a mechanical washing and cleaning process. The fruit is juiced with a home-style juicer, but it’s done mechanically. 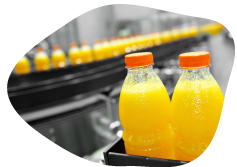 The juice doesn’t come into contact with the peel – it goes directly to the filtering tank. 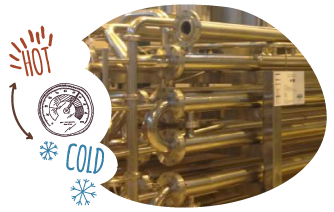 The pasteurization process (rapid heating) ensures our product’s quality, conserves its flavor and keeps its vitamin C and all the other nutritional properties potent for much longer. 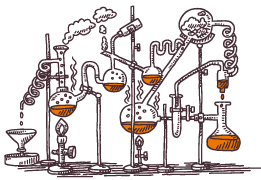 Before we package our product, we analyze it in a laboratory to ensure that all the steps in the production process were done properly. We then put it into our various types of packages with sterile technology and no contact with oxygen. We continue to give it this care and attention when we store and transport it. Now you have a flavorful product of the highest quality waiting for you on the shelves of the best supermarkets. 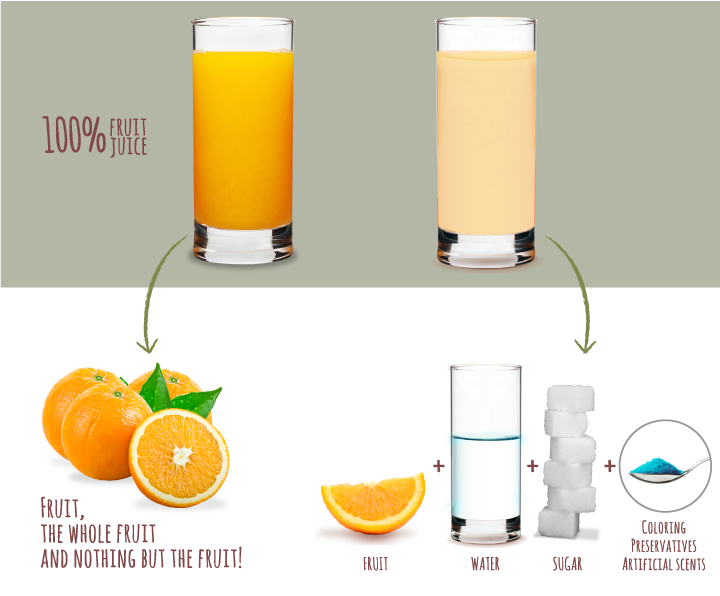 Removing the juice directly from the fruit, without letting it touch the peel, results in a flavorful juice. You might notice a difference in flavor from one package to the next. But that only proves that we’re really natural, with nothing added. Anything artificial goes against our soul. We are committed to developing environmentally sustainable programs that use ever fewer resources and generate ever less waste.That’s why we have a water treatment plant and we reuse our organic waste to generate power for our own factory. We also have a reforestation area. 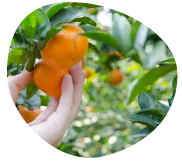 At Brasil Citrus, we play a fundamental role in our region's socioeconomic development. To acquire the average of 5 million boxes of oranges we need each year for our production, we buy fruit from local small farmers, creating direct and indirect jobs. We also have a monitored training and development structure for our employees, operated in partnership with major institutions. We also work with a series of partners to create, promote and support social programs to help with school snacks, using juice’s nutritional properties to help fight childhood anemia.